Today let’s draw our attention to “Beautiful Neurotic” – an album of a Korean musician under the name Fescal. First thing, that bursts upon the eye is the opposition, which is present in the very title of the album: “beautiful” vs “neurotic” – positive quality against negative one. Then, if we look through the names of the tracks, we will notice the subsequent development of this opposition. Here, two concept lines intersect, making some kind of a “concept cross”: “Cecropia Moth” and “Quasicrystalline” on the one side and “F-ck-New-York” and “Vancouver On Fire” on the other side. The first line is represented by natural and beautiful notions, such as the moth and the fanciful tracery of quasicrystals. Obviously, these may be concerned with the “beautiful” category. “Cecropia Moth” is built up by a stable low drone, which later is accompanied by a high-toned squeal and some crackling. The whole atmosphere is rather calm. “Quasicrystalline” begins with a troubled low drone, and, near the middle of the track, this agitation fades away, leaving place for a self-tuning mild ringing sound. Now, let’s turn to the “dark” concepts, that have some kind of a twilight state in its sense. “F-ck-New-York” is almost 7 minutes of a distorted, dirty sound, against the background of a mild white noise and a low bitrate rustling. Hearkening more thoroughly, you’ll find out the sonic spine of the track – a looped reversed sample. The general mood is aggresive, though a little bit lyrical. And the last track – “Vancouver On Fire” – is again distorted, with thorny snapping, noises and knocking. You also hear indistinct ringing drone tints. The sounding displays destruction in burning ambience. These two tracks unquestionably belong to the second, “neurotic” conceptual category. The compositions are situated next nearest, composing in such a way the “Beautiful Neurotic” architecture, the architecture with its peculiar extremes, intercrossing antagonistic vectors. Also, pay attention to the cover picture of the album. There you can see two sides – the face of a young girl, which is half hidden by her hair. Though it is only the hair, it is like the absorbing shadow – the dark hypostasis of a human nature. 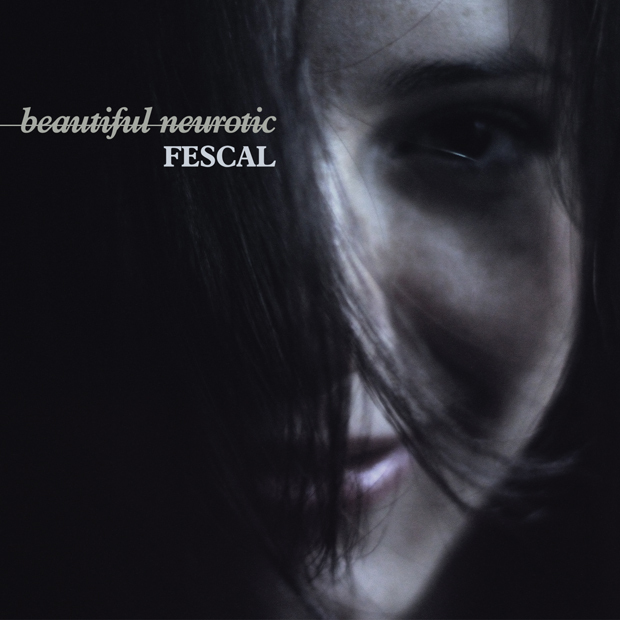 So, feel the discrepancy of Fescal’s “Beautiful Neurotic”.